Conference on Work and Well-being in the 21st Century Gender Links Cottages, Johannesburg, South Africa, 5 - 7 April 2019. Estimates by @vikasrawal, Prachi bansal and Vaishali Bansal shows that about 39% of the Indian population— a staggering 472 million people— faced chronic hunger in 2011-12. 4th Workshop on New Developmentalism: New Theory and Policy for Developing Countries Hosted by the Centre for Studies on New Developmentalism of the Sao Paulo School of Business Administration - Getulio Vargas Foundation - São Paulo,Brazil. In a surprise move, on November 8, 2016, the Indian government announced that the currency notes of Rs 500 and Rs 1000 denomination cease to be legal tender from the midnight of that very date. 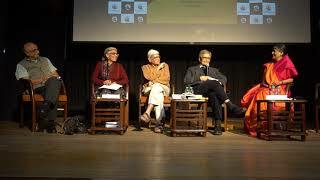 The arguments advanced in support of the move was that this would root out black money and take care of counterfeiting of currencies; however, withdrawing more than 85 per cent of the currency notes in circulation has been a major hit on India’s poor and lower middle classes. This section presents articles and videos explaining the major impacts of this move on the people and the economy. 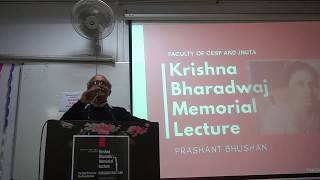 On the occasion of the beginning of the Centenary year of the October Revolution Professor Prabhat Patnaik delivers a series of four lectures where he attempts to theoretically construct the historical journey from 1917 to the present in order to explain the kind of conjuncture in which we are placed today. Britain’s vote to leave the European Union adds to the uncertainty in the world economy and the unfolding crisis in the region will inevitably affect developing countries as well. This section presents analyses of the vote on Brexit and its implications for Britain, for the European Union and for the global economy. The announcement of a BRICS development bank in the context of the ongoing global economic turmoil assumes a special significance. Some perceive it as an alternative to the already discredited World Bank with its North Centric leadership resulting in a dogmatic imposition of neo-liberal conditionalities on the indebted South; many assume this as a watershed, signaling the shift in global economic governance from the traditional powerhouses of the North to the newly emerging powerhouses of the South; while others perceive it as a tool to be used by the member countries to increase their influence in their respective Southern pockets. This section includes articles analysing the emergence of BRICS Development Bank and its possible implications for global economic governance, regional impact of the BRICS nations, and other repercussions. To commemorate 10 years of International Development Economics Associates (IDEAs), we are organizing a Conference titled ”Global Economy in a Time of Uncertainty: Capitalist trajectories and progressive alternatives” in Muttukadu, Chennai, during 24-26 January 2012, and a Seminar titled ”Whither Global Capitalism” in the Convention Center, Jawaharlal Nehru University (JNU), Delhi, during 28-29 January 2012. This section contains the contributions by the participants in the two events. International conference on ”The Global Economy in a Time of Uncertainty: Capitalist trajectories and progressive alternatives” Muttukadu, Chennai, India, 24-26 January, 2012. Following the financial crisis, much has been done for preventing systemic failure in the financial sector, stalling economic downturn and ensuring a recovery. However, the adequacy and appropriateness of the measures adopted remain questionable. As far as reforming the financial sector is concerned, despite a spate of proposals, agreement on the appropriate mix of policies and the progress with implementation have been limited. This section presents papers and articles that analyse the adequacy of various proposals and measures, the challenges that could arise at the time of implementation and advocate additional or alternative measures. Some of these papers also take a renewed look at the veracity of the arguments given for explaining the genesis of the crisis. It is now more than two years since the sub-prime lending crisis in the US mortgage sector came to light. The unprecedented financial crisis in the developed world brought with it the end of the illusion of the market being ”efficient”. This section presents papers and articles that seek to explain the causes and consequences of the U.S. sub-prime mortgage crisis. Through a critique of the underlying structure and dynamics of deregulated finance, they analyse how this crisis led to a generalized credit crunch in other financial sectors and ultimately affected the world economy at large. There are also theoretical papers that explore the related issues, all of which provoke a fundamental rethink on financial liberalisation in order to reduce the systemic and global instability associated with it. Conference on Work and Well-being in the 21st CenturyGender Links Cottages, Johannesburg, South Africa, 5 – 7 April 2019.